The Firestone Firehawk SZ50 Ultra High Performance tires were developed to provide comfort, performance, consistency and value. 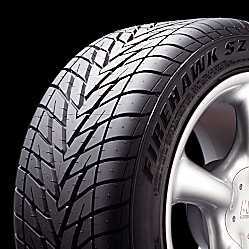 Firestone's name for selected elements used to develop and produce the Firehawk SZ50 is "UNI-T," which indicates the use of their "Ultimate Tire Technology." The Firehawk SZ50 tires incorporate innovative beads, unique carcass shapes and tread designs that are tuned for comfort. In addition to building winning Indy Car tires, Firestone builds winning ultra high performance street tires too!